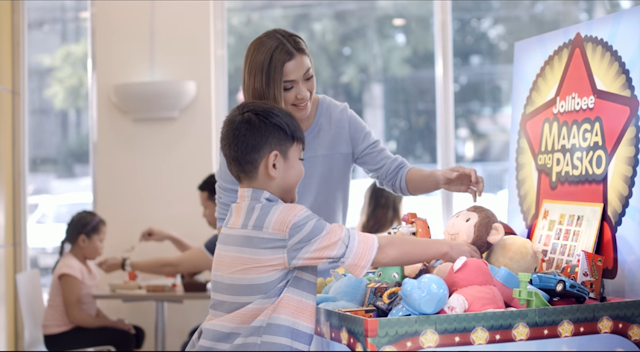 Maaga ang Pasko, the country’s biggest and longest-running annual toy and book donati­­on drive, is once again bringing out the iconic boxes that have helped taught generations of Filipinos the value of sharing and the real spirit of Christmas. Thirdy drops his toys and books to the Maaga ang Pasko box, hoping to bring joy to other kids this Christmas season. 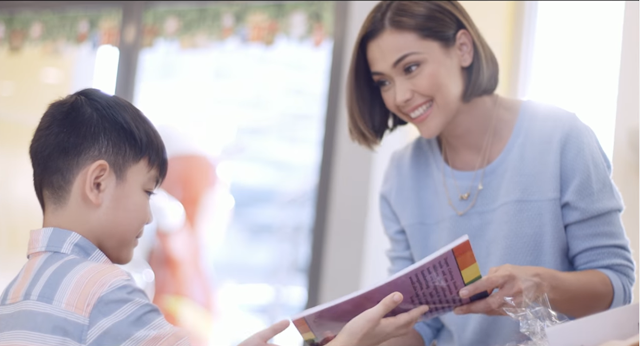 “Ang sarap na makita ang anak mong lumalaki ng tama.” Jodi looks on as her son Thirdy donates his toys and books to Maaga ang Pasko. Great. This is that time of the year when people really should take the time to give something back to the community and the needy. Personally, I couldn't care less if these acts were done for the sake of, genuinely, or any other reasons. The bottom line is this. The less fortunate have real needs. 22 years of giving. I can still remember asking my parents to go to jollibee and donate my dolls. Haha! Time flies and yet the gift giving lives on. That is a nice initiative. It is best to catch them young and teach them the virtues of life. I like how it is a tradition there now. I have been a fan of this program since I was a kid. Every time we visit a Jollibee store during Christmas season, I always look at the donation box and see what's inside. I some time thought of taking one, but just for the fun. lol I hope a lot of kids will be happy this year. Glad that Jollibee has been so consistent in this program they have. And it's nice to see as well that Jodi and her son are the ambassadors of this year's program too! This really reminds me of my childhood a lot. Before we used to donate toys that are still in good condition. Now that I am a mom and since we're living 4 hours away from the city, the best thing we can do most probably is just shared the stuff we have here at home to the less fortunate kids near us. I believe that is a total of gift giving of J's program.